AMERICAN actor and director Bill Paxton, who rose to stardom with roles in Hollywood blockbusters such as Aliens and Titanic, has died at 61 due to complications from surgery. 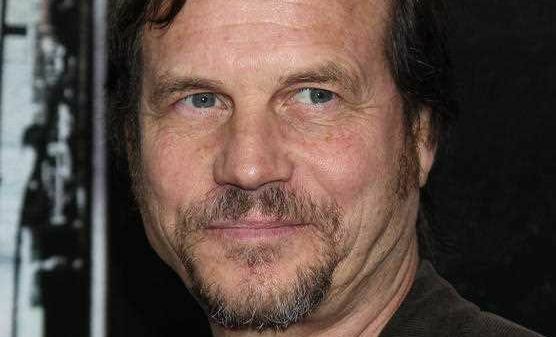 "It is with heavy hearts we share the news that Bill Paxton has passed away due to complications from surgery," Paxton's family said in a statement. "A loving husband and father, Bill began his career in Hollywood working on films in the art department and went on to have an illustrious career spanning four decades as a beloved and prolific actor and filmmaker. Bill's passion for the arts was felt by all who knew him, and his warmth and tireless energy were undeniable. We ask to please respect the family's wish for privacy as they mourn the loss of their adored husband and father." He was most famous for his roles in Aliens, Twister and Apollo 13. The latter earned him a Screen Actors Guild Award for outstanding performance by a cast in a motion picture, in 1996. Hollywood is mourning the loss of Paxton, who passed away just hours before the Academy Awards is due to kick off, with everyone from Tom Hanks to Arnold Schwarzenegger paying tribute to him on Twitter. What a lovely, warm and kind human. So sad to hear of Bill Paxton's passing. In his memory, on this Oscar Sunday, watch "One False Move" or "A Simple Plan" to see this lovely leading man, at his finest.